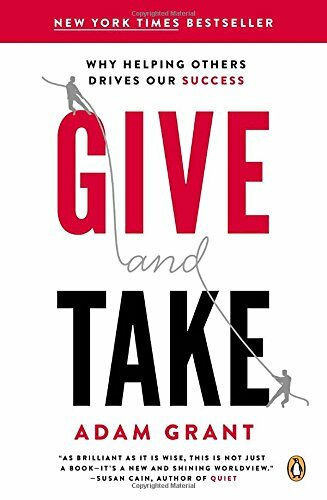 I've just finished Give and Take by Adam Grant. My manager suggested I read it and leant me his copy a couple of months ago. I've just put it down, and I must say, it's one of the best (and only - don't judge) books I've read in a long time. It talks about reciprocity styles, those who give more, those who match, and those who take more. It argues for being a giver - giving more, creating more opportunity for everyone to succeed. It provides many examples from people, backed up with many, many studies. I also try my hardest to be a giver. Over the last few years, I've upped my volunteering, done more talks, written more content, and learned to take less. I'm seeing benefits pop up from all of that, in many unexpected and wonderful ways. This book told me why that was happening, and most importantly, to keep going.